Clinique rings in spring and summer with the launch of their Pop Lip Colour + Primer collection: 16 gorgeous, popping colors with built in primer that will provide your lips with a beautiful color and will nourish them at the same time. The colors are divided into the Nudes, the Tawnies, the Pinks and the Violets, so everyone is set to find at least one favorite! A full lip color with built in primer that provides dramatic lips and comfort immediately. It contains shea butter and murumuru butter. * A deep, long-lasting color with a hybrid formula of lip color and primer, all in one. * Guarantees a perfectly smooth and precise application, every time again. * Does not dehydrate the lips and gives a creamy, silky smooth finish. Are you as curious as I am? Click below to find out more. 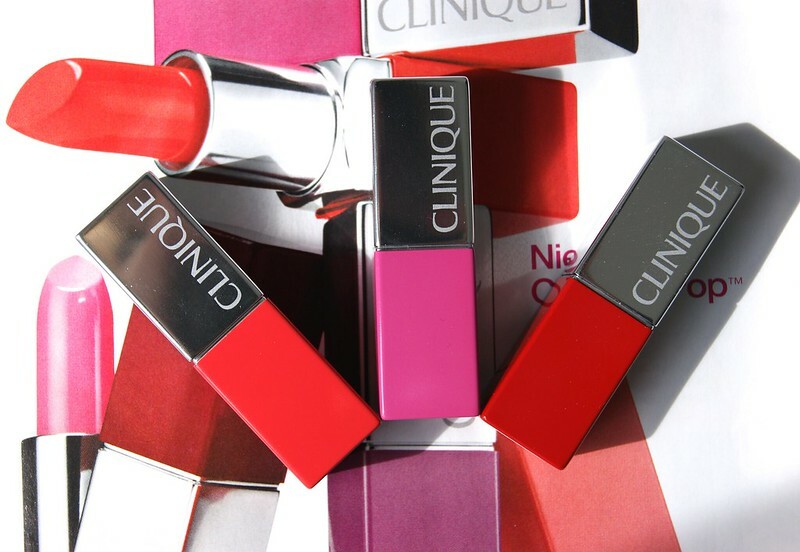 The Clinique Pop Lip Colour + Primer collection is now available in stores ($ 18 / € 22,20). P.S. 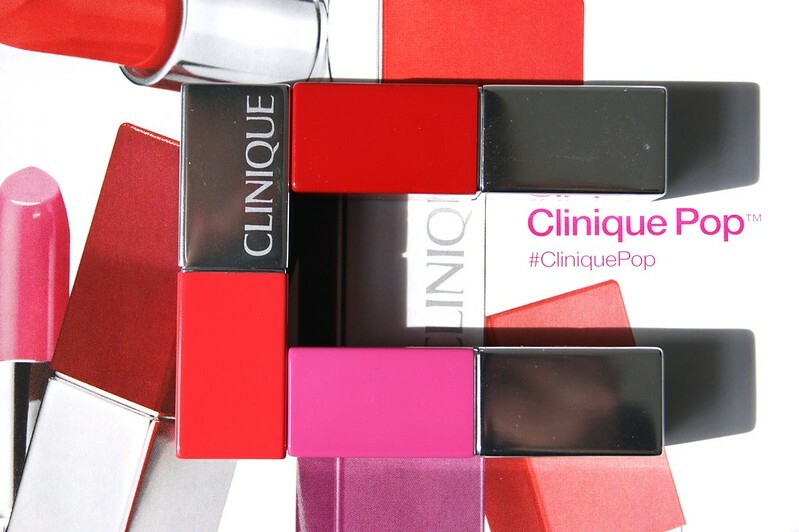 : To share your popping moment, you can use #CliniquePop on your social media. 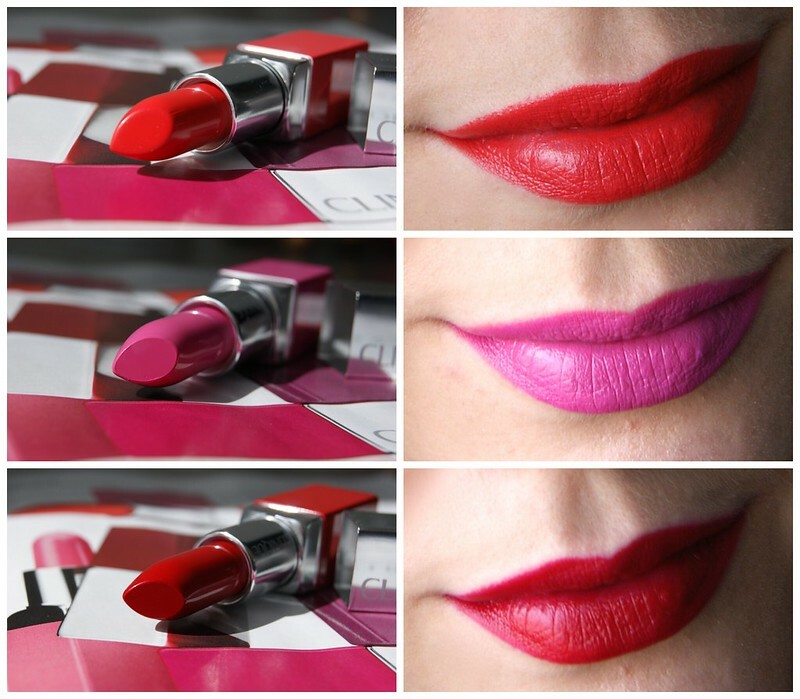 I love how Clinique kept the popping atmosphere in the lipsticks' names. 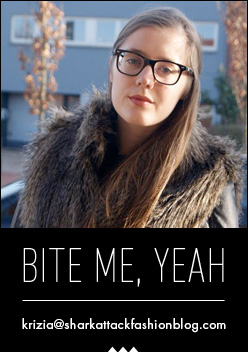 Even though this might sound dull, I can't help but love it when brands come up with creative names for their lipsticks. It's so much more fun than giving them some random number. 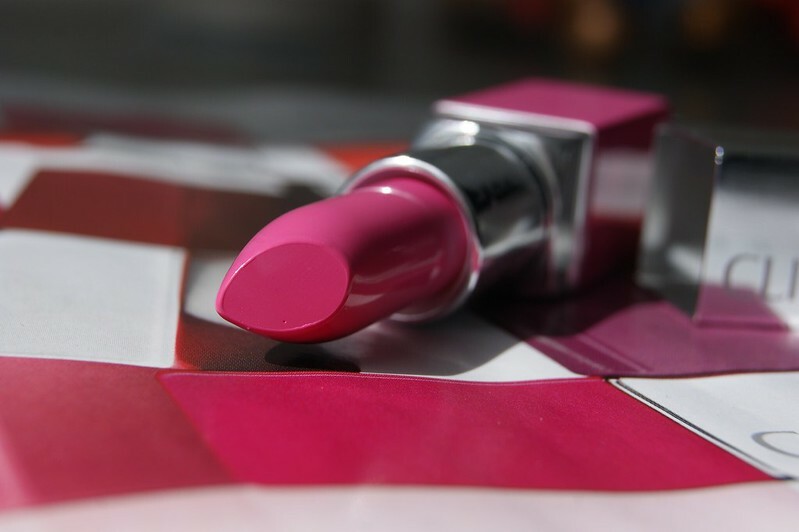 The lipsticks come in a square packaging and the bottom part has the same color as the lipstick, which I love! It makes it super easy to grab the lipstick you're looking for when you're in a hurry. The silver lid has the Clinique logo engraved into it and is actually a mirror, so that you can apply or retouch your lipstick anytime, anywhere. Clinique literally thought of everything. Thumbs up! 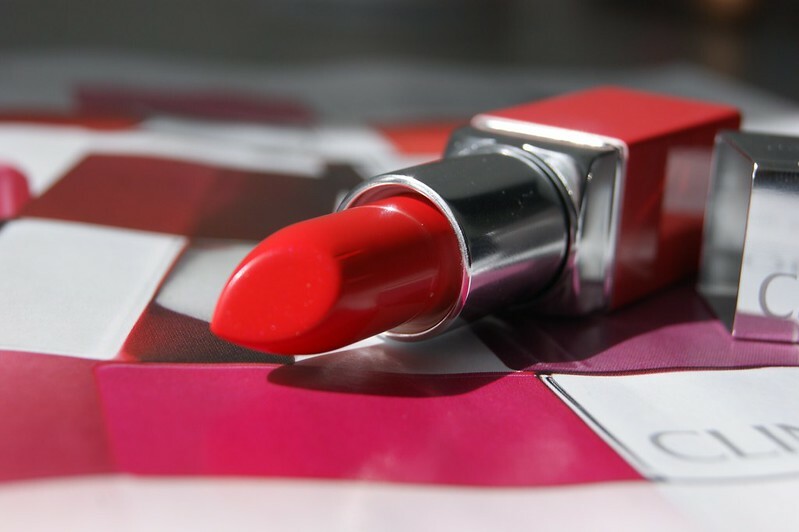 06 Poppy Pop is a stunning, coral red lipstick with a hint of orange. When I'm lipstick shopping, I rarely go for these type of shades, which now makes me wonder why, because this one's a beauty! For 11 Wow Pop, I have no other way than to describe it as the perfect Barbie pink. The color might not be everyone's cup of tea, but if you like bold colors this might be the one for you. 08 Cherry Pop... The classic red lipstick that I love so much. Trust me when I say that you can never go wrong with a color like this one. However, I (personally) would go for another color during spring and summer. I find these reds prettier during fall and winter or for a night out and would go for one of the popping colors above during the sunny days! Just look at those swatches! 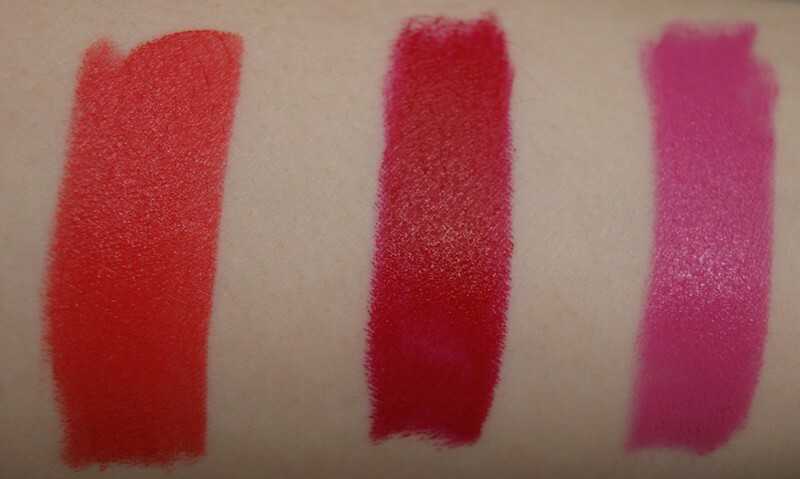 From left to right, you can see 06 Poppy Pop, 08 Cherry Pop and 11 Wow Pop. Just like Clinique promised, the lipsticks are super creamy and apply as smoothly as MJ in Smooth Criminal. And the coverage... Where do I start? I go for matte lipsticks for their perfect coverage and avoid lipsticks with a satin finish because I always fear that there will be irregularities on my lips. But that's not the case with these lipsticks! The coverage is amazing and you can decide the intensity of the colors yourself; just keep on adding layers until you're satisfied with the result. Most you will know that I love heavy colored lips, so I just kept applying like crazy. But if you like soft, subtle tones, one or two layers will do just fine. And here they are on my lips! Are you wondering which one is my favorite? I love all 3 of them, but I think the pink one might be my favorite. It's the perfect color for spring and summer and the coral one will be perfect as well, as soon as I get out of my comfort zone and accept that coral / orange tinted colors are wearable as well. 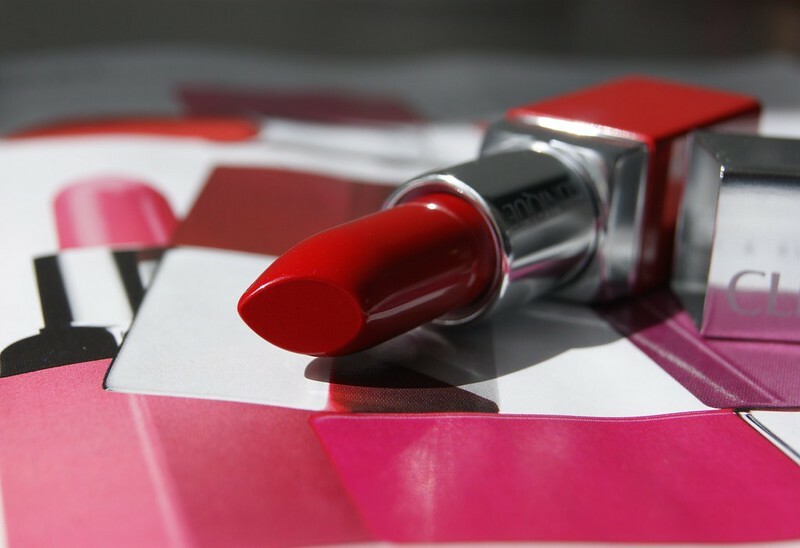 The red one is the perfect shade and is a color that every woman should have in her make up stash. Which color do you prefer? Let me know in the comment box below! 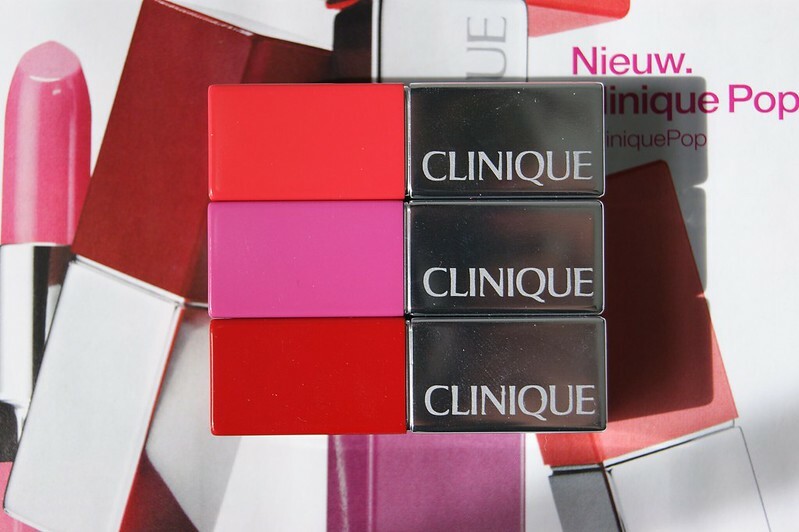 Even though I love matte lipsticks, I'm a big fan of the Cliniqe POP Lip Colour + Primer lipsticks as well. My lips feel soft and hydrated and continue to feel so up to the point where I have to remove my make up. The lipsticks stay on perfectly throughout the day, but you might have to retouch your lips after a meal or a drink. I also have a question for you: when it comes to beauty posts about lipsticks, do you prefer close up pictures of my lips (like in the picture above) or would it be better to post a full shot of my face? I'm still not sure about it, so your opinion would help me out a lot. Oh, and before I forget... 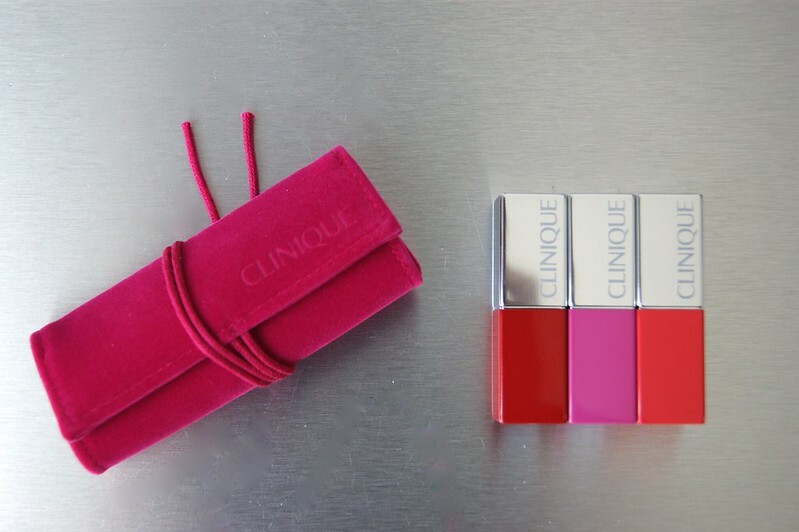 If you purchase one of the Clinique POP lipsticks online, at a Galeria Inno or ICI Paris XL selling point, you will get a super cute, pink, velvet lipstick pouch as a gift. It's always nice to see a brand doing something extra for their customers. I've been wanting to try these, they sound really good and I love the packaging! amazing photos!!! and amazing colours! These look absolutely amazing! Definitely going to check em out. How gorgeous are these! I love lipsticks too, and that dark red is just perfection. Thanks for sharing these with us! I like the closeups of you lips. Great post! Waauw prachtige kleuren, en wat een mooie foto's! I'm in love! Daar zitten mooie lipsticks tussen!